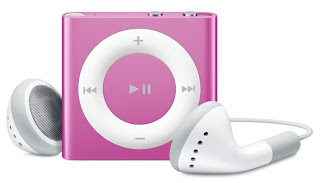 TJ Formal Dress Blog: Win a PINK iPod Shuffle! We are soooo close to 1000 fans on our Facebook Page that we are giving away a PINK iPod Shuffle to celebrate! What's your favorite song or group that you'll be putting on this iPod? Contest will end once we reach 1000 fans. The winner will be randomly selected from the comments and announced after we reach 1000 fans or Friday morning (Nov. 5), whichever comes latest.